Budget style plus gift idea! Ok I’m going out of my comfort zone and sharing a little of my style with you! I’m not a high end designer, I’m a budget designer. This is true in my wardrobe too! Here I’ll share a few of my go to items I’m crushing on right now AND where I bought them from! This is my go to outfit: basic tee, boyfriend crop jeans, fun sandles, and accessories! Here are the resources! 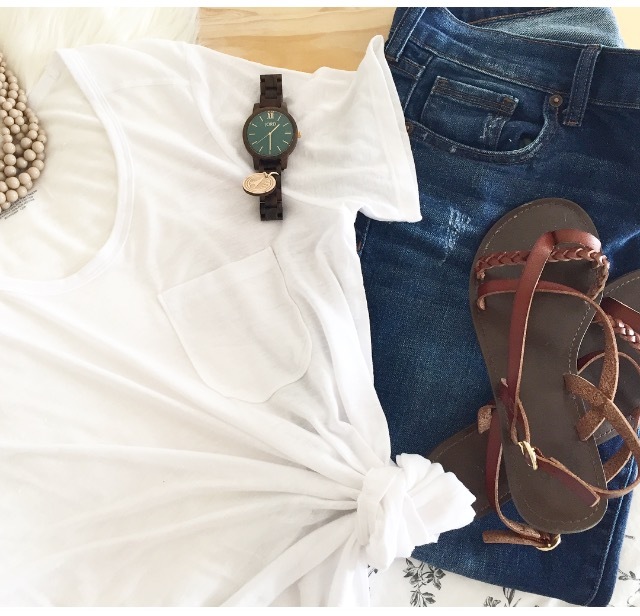 The basic tee is from Walmart! Only $6.88!!!! The boyfriend cropped jeans are affordable from Old Navy! Be sure to check for coupon codes to use online or in stores! The sandles are from Walmart as well for $9.40! 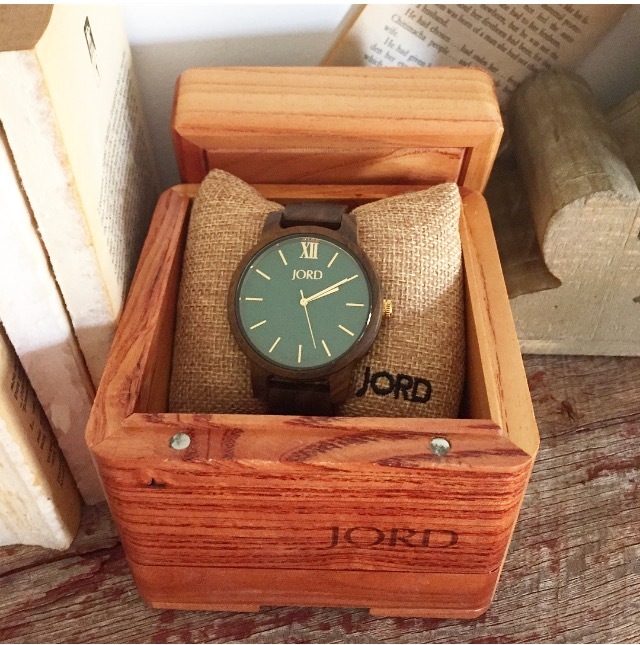 I’ve teamed up with Jord to bring you a giveaway for a chance to win $100 credit! One person will win, but everyone will receive a $25 code after the giveaway ends (5.7.2017)! Just follow the easy steps in the link below! The little necklace is also from Walmart, but I can’t seem to find the exact one! It always makes me feel better to get up and get dressed daily! You can feel good about yourself without spending tons of money. Also, the watch is a great gift idea for Mother’s Day or that special grad! A true time piece! Thank you for sharing your style (love!) and for sharing from where (like the where matters – it doesn’t if you love it) and for being real. Loving your Instagram feed!